Buy 2 and Get 1 FREE - Offer Applies to first time buyers Only. 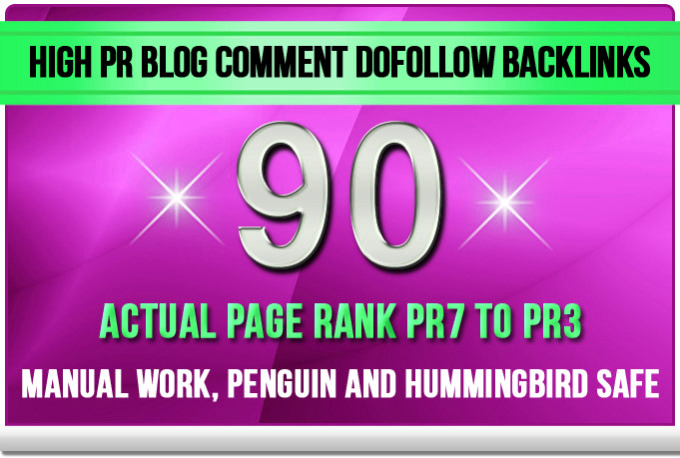 make 90 Dofollow Blog Comment Backlinks Pr7 to Pr3 Blog Commenting is ranked 5 out of 5. Based on 3 user reviews.